Perfect stainless steel milanese band fits for Xiaomi Mi Band 3,very comfortable to wear. 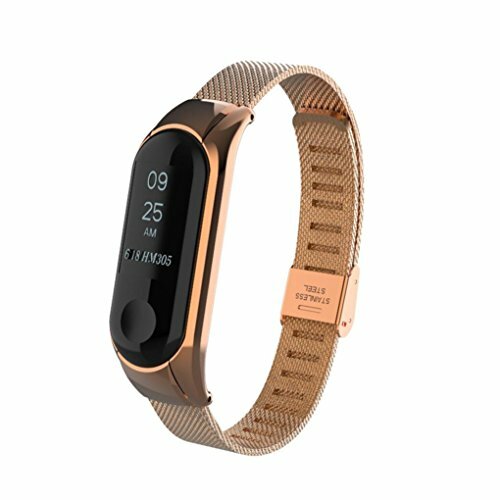 Personalized your Xiaomi Mi Band 3 with this waterproof watch band which embellished with stainless steel material,bring you a symbol of elegance,luxury& nobility at any moment. It's easy to install and take out the tracker, strong metal clasp, convenient for you to adjust the size. Ensure your watch in steady and secure, no problem for most sports. Lightweight design let you enjoy the comfortable wearing experience, suitable for men and women when sport, dating, meeting etc. You will get tons of compliments on how nice it looks. If you have any questions about this product by Redvive, contact us by completing and submitting the form below. If you are looking for a specif part number, please include it with your message.